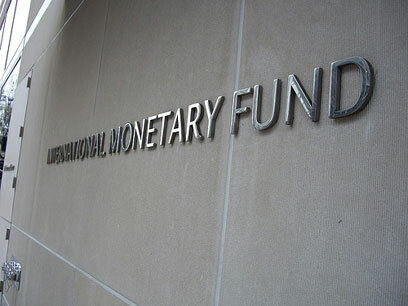 The International Monetary Fund (IMF) is now considering selling its bonds to developing countries in order to raise sufficient capital against the worldwide economic crisis. Brazil and China are among the countries that showed interest in purchasing the securities. The tentative offer opens new doors in the way member states can contribute to the fund. The IMF, through all its years of history, has never issued bonds before. Essentially, the fund is looking for ways to finance loans and provide aid to members during the worst-economic crisis in its history. With more uncertainties ahead, the institution is tapping into its 185 members for fresh cash infusions. However, developing countries have suggested that they want more decision-making authority within the IMF; this sets up a possible clash with developed countries in the future. Is the Bond Issue Likely to Push Through? According to Dominique Strauss-Kahn, “I’m sure that this vehicle will be used…we’re discussing with different creditors the way to implement it and the amount that we put in it.” He further added that bonds provide flexibility. Despite the prospects of the IMF bond issue, Brazilian Finance Minister Guido Mantega has said that the sale proposal is premature. Brazil is demanding higher yields compared to those attached to US Treasuries before they will buy. Mantega has met with his counterparts from China, India, and Russia to discuss the situation. Contributions made by the four largest developing countries are “provisional”. That is, they want to increase their decision-making power in the IMF. What does it mean to both Rich and Emerging Economies? If the bond issue really pushes through, it is inevitable for emerging economies especially the four largest developing nations mentioned earlier to attain more decision-making power within the IMF. Right now, Mantega has revealed that they want their contribution to help developing countries weather the global financial slump instead of strengthening the “current structure of the fund”. There was an implicit suggestion made by Bank of France Governor Christian Noyer that the IMF should forget this kind of “exercise”. But everyone agrees that the fund needs to be correctly capitalized in order to be operational. Though the next move of the IMF is unclear, the common aspect everyone agrees on is that institutions like the IMF and the World Bank need to contain the crisis that seems to be worse than what was previously projected.